In a recent article, Fox News reported about Sean Penn's interview on "Real Time With Bill Maher," in which Mr. Penn defended Venezuelan President Hugo Chavez from mainstream medias' accusations that he is nothing but a dictator (see 2005 Fox News Article for example of their lack of objectivity). 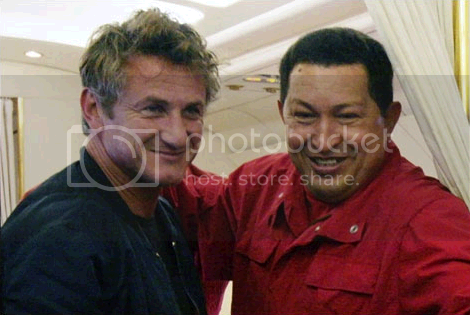 Fox News reported that Sean Penn stated that reporters should be jailed for referring to Chavez as a dictator. After watching the show, I interpreted Mr. Penn's statements as those of a man who believes that the media should adequately research stories and interpret their research objectively, rather than jumping on the buzz-word bandwagon that is modern mainstream media. Although Fox News provides opinion from their resident expert judiciary on the First Amendment implications of Penn's comments, this is just another attempt by Fox News to justify their right wing conservative opinions under an illusion of credibility. Regardless, Mr. Penn is correct to imply that the mainstream media is a conglomerate of robots supporting the opinions of those in power and pushing them on the American people through buzz word symbolism and repetition, all the time embracing the fear tactics that recently came to national light during the latest GOP convention.